Being a parent is the most difficult yet most rewarding experience one can have. However, one of the most difficult times you can have as a parent is when your precious baby is struggling in an area within the school setting and you’ve exhausted all your resources in trying to help them. You know they need more support but don’t know where to turn to help them. This is especially true when you suspect they could have a disability. Knowing the steps you can take as a parent is always helpful, so I’ve written the steps below you can take if you are concerned at how your child is progressing in an area within the school setting. 1. If you suspect your child has a disability, start with your pediatrician and see if they have any recommendations. It also doesn’t hurt to get their hearing and vision checked out. If you get to a formal team meeting, the team will always ask about their developmental milestones and any recommendations from their doctor. 2. Schedule a conference with their teacher (s). Make it clear your concerns for their progress and ask if there is anything you can do to help support them in this area at home. The teacher may discuss different ways they can help your child in this area in school. It is important to understand whether the teacher is recommending a strategy, intervention, or accommodation. Strategy: A loosely defined collective term that is often used interchangeably with the word “intervention”’ however, strategies are usually just considered effective instructional practices and/or good classroom instruction for all students. Intervention: An intervention should be targeted (specific) instruction that is based on an individual student’s needs. Strategies can become interventions if the strategy includes a step by step description on how it will be put in place and by who. Teachers are starting specific interventions for your child, if they put them on a personalized behavior point sheet, have them begin to work with the reading specialist or have them go out for any kind of reading program. 3. If you’ve already done #’s 1 & 2, you should schedule a date and time that with the school’s permission you can observe your child in the area where you have concerns. You know your child best and could provide insight into what is causing them to have difficulty. 4. If after ongoing collaboration, your child is still not progressing, then the best course of action is to move forward with requesting an SST meeting. This stands for Student Support Team. It is different than a conference because you will have a team of people from the school. This can include the student support team chair who facilitates the meeting, classroom teacher(s), special educator(s), the guidance counselor, the nurse, and/or the psychologist. At times, the reading specialist is also there. If that seems like an overwhelming amount of people, you are not alone in thinking that. Just remember everyone is there to SUPPORT your child which means you as well. Ultimately, the team members should have a helpful demeanor and will offer suggestions on appropriate next steps to better help your child in the area identified as an issue. This team can meet for concerns in the following areas: social, emotional, inattention, academic, medical, and attendance. 5. The school will hold the SST meeting to review the student’s current progress identifying areas of concern. Support staff will then recommend appropriate interventions, checklists and/or assessments as needed. 7. The school will reconvene with you as a SST in another meeting within 4-6 weeks (minimum time frame for interventions to be implemented) to review progress including any data on student’s progress with each intervention, any results of checklists (Vanderbilt or Connors for attention) and/or any informal assessment data. 8. If there is no diagnosis, the team will start to think if one of the following disability codes that could be impacting your child: Other Health Impairment (Anxiety, ADD, etc. ), Specific Learning Disability, Autism, Developmental Delay, or Emotional Disability. I have chosen the types of disability codes I see most often in a general education setting with no self-contained programs within my school. They will then decide the appropriate course of action in determining the type of plan needed for your child. 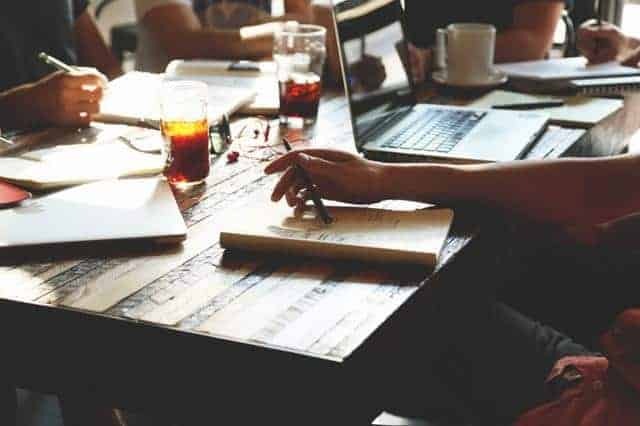 They may ask themselves the following questions to determine whether the team (same people, different title) needs to move to an IEP (Individualized Education Plan) meeting. Is the child significantly below grade level 1-2 years? Are there significant interfering behaviors? Does the child need specially designed instruction? A yes to any of these questions could lead to a referral to an IEP team meeting to get permission for more formalized assessments. The meeting would then change from a student support team meeting to an IEP team meeting. I’ve broken down the differences between the student support and IEP teams below so you have a clearer understanding of their similarities and differences. You are never alone in the process for best supporting your child’s progress in a school setting. In fact, you are the most instrumental member of these team meetings because you know your child better than anyone there and can highlight your view of the child giving the team a better insight into who they are as a whole person. Hopefully, now with the outlined steps and chart above you will feel confident in your understanding of what can expect when attending student support and IEP meetings for your child. Chrissie Kahan is an advocate for equity and students with disabilities. As an educator for the past 15 years and an assistant principal for the past 8, she has experience working in partnership with parents, teachers, and related service providers. Chrissie has always had a heart for children, especially advocating for kids who have been labeled as “behavior problems.” She is special-education certified and serves as the Individualized Education Program (IEP)/Student Support Team Chair within her elementary school. She has authored the following books: Benny Gator and Angry Ana with the purpose of spreading awareness to kids and families in regards to the topics of anxiety and anger management. She has also co-authored the book Navigating the Road of Infertility with her husband. This book has been featured internationally, most recently on HLN for National Infertility week. She and her husband have founded the publishing company: King Kahan Publishing, LLC where their hope is to publish books that focus on spreading awareness to real world issues in a meaningful way. Learn more about Chrissie Kahan at www.kingkahan.com, and connect with her on Twitter, Facebook, and Instagram. 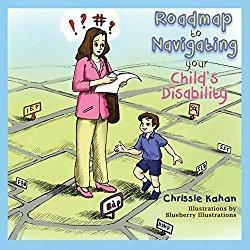 Roadmap to Navigating Your Child’s Disability is available on Amazon. « 5 Tips to Finding Joy in Your Life, and How to Start Today! My son’s school suggested an SST meeting and it is tomorrow. This article helped put me a ease because I now further understand what the purpose of this meeting is. Thank you so much!